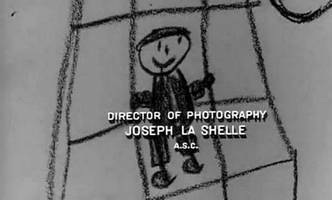 Born: 9 July 1900, Los Angeles, USA, as Joseph Wellington LaShelle. Died: 20 August 1989, La Jolla, San Diego County, Calif., USA. 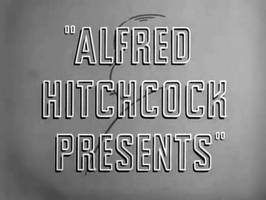 Career: After graduating from Hollywood High School he took a job as asst in the new lab of Paramount West Coast Studio in 1920 in order to earn tuition to attend Stanford University. 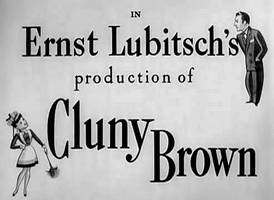 After being made supervisor of the printing department he decided to remain in the film industry. 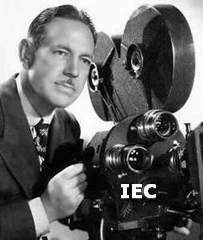 In 1925 doph Charles G. Clarke convinced him he should be a cameraman. He went to work with Clarke. 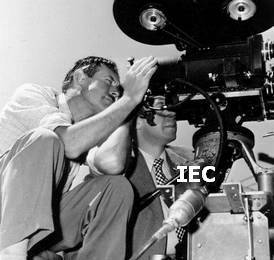 After 3 months he advanced to 2nd cameraman and worked for various doph at the Hollywood Metropolitan Studios [later Hollywood General Studios and Zoetrope Studios]. 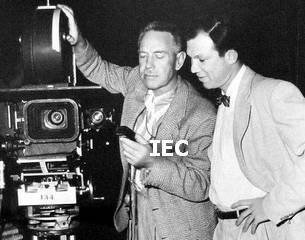 He invested in a new Bell & Howell studio camera and soon was sent to Alaska with dir George Melford. 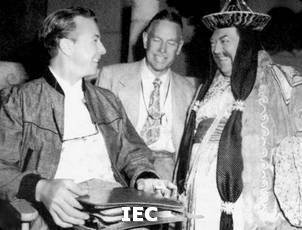 Transferred from Metropolitan to Pathé where he began a long [14 years] association with doph Arthur Miller. Went with Miller to Fox Films. Became a doph in 1943. 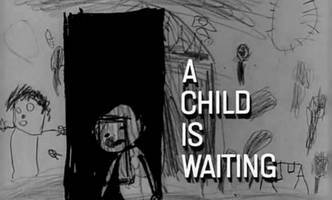 Awards: 'Oscar' AA [1944; b&w] for 'Laura'; 'Oscar' AA nom [1949; b&w] for 'Come to the Stable'; 'Oscar' AA nom [1952; b&w] for 'My Cousin Rachel'; 'Oscar' AA nom [1955; b&w] for 'Marty'; 'Oscar' AA nom [1959; b&w] for 'Career'; 'Oscar' AA nom [1960; b&w] for 'The Apartment'; 'Oscar' AA nom [1963; color; shared] for 'How the West Was Won'; 'Oscar' AA nom [1963; color] for 'Irma la Douce'; 'Oscar' AA nom [1966; b&w] for 'The Fortune Cookie'. 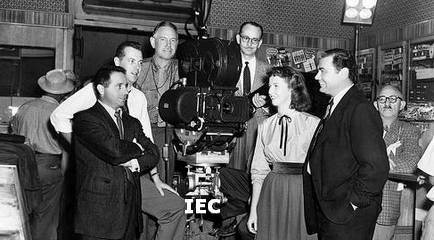 [Left] with dir Otto Preminger [partly covered] - "Laura"
Tournament of Roses [Otto Lang] cs/c; doc/17m; ep of the series 'CinemaScope Specials' in Technicolor that 20th Century-Fox prod and released in a hurry to get them booked with their CinemaScope features to make a full bill of CinemaScope in theatres; covers the January 1, 1954 'Tournament of Roses' parade in Pasadena, Calif.
actress Betsy Blair actor Ernest Borgnine - ? 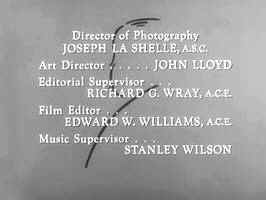 - "Marty"
The Chase [Arthur Penn] p/c; uncred cph: Robert Surtees (started film, fell ill and was replaced by J. LaShelle); Arthur Penn couldn't hire his own cameraman. 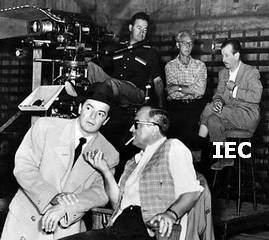 Instead producer Sam Spiegel had given him Robert Surtees, a three-time Oscar-winner who got sick on the job and had to be replaced. 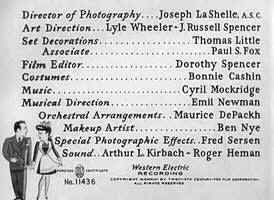 Without notifying Penn, Spiegel then hired Joseph LaShelle, another legendary cinematographer, who was a bad match for the younger director. "It should have been a close relationship," said Penn, "but I found him to be difficult and slow. For the night scenes, he would be lighting until midnight. And, in 'The Chase' we had a lot of night scenes." 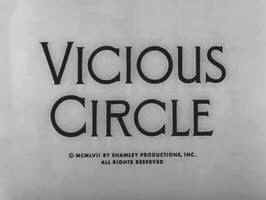 Was c.op on most, if not all, of the films ph by Arthur Miller between 1929 and 1943.